This stunning Black Onyx Palladium Signet Ring is now available to purchase due to a cancelled order. Seal engraved with a tree of life, the engraving is done by hand and the rebus or permanent wax impression which comes with it shows the astonishing detail of the hand engraving. The black onyx stone is set into rare hallmarked palladium. 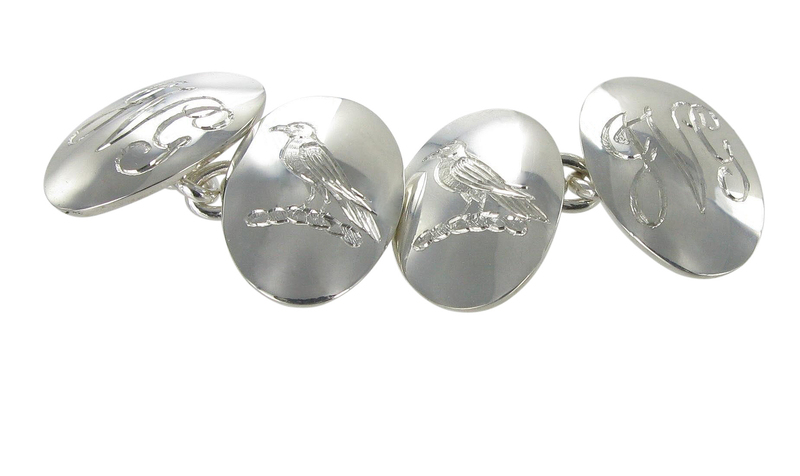 Palladium is the fourth precious metal which is recognised and hallmarked by the Assay Offices of the United Kingdom. It is a rare and lustrous silvery white metal, part of the Platinum group of metals. However, it is lighter than Platinum which makes it more comfortable on your finger. The great thing about Palladium compared with White Gold, is it’s natural whiteness which means that it does not go yellow and does not need rhodium plating. 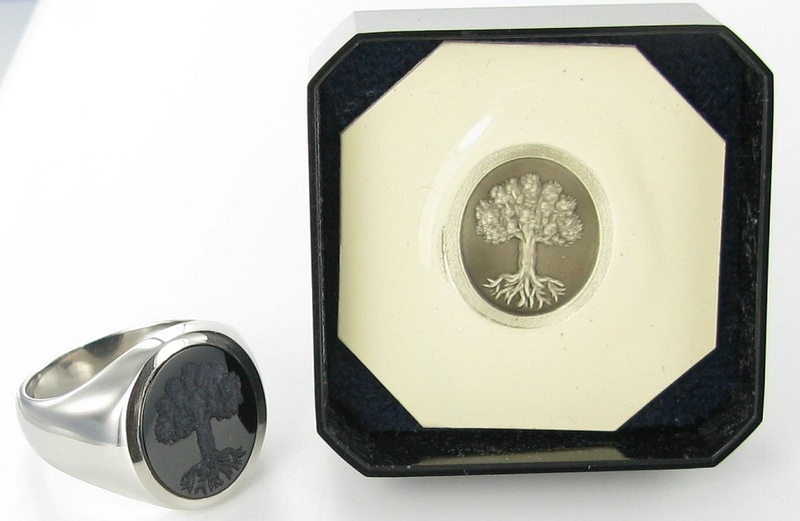 The engraving is of an oak tree of tree of life, with it’s roots showing. This is appropriate for the Black Onyx as traditionally this gemstone is thought to provide a supportive stable energy which has strength and gives protection. It is the stone of Leo. The ring could be used as a seal and comes with a stick of sealing wax so you can try it yourself. You can seal letters and other correspondence with it or use it for fun on your stationery. “NOLI IRRITARE LEONEM” which translates as Be Unwilling to Vex the Lion. “NIL TIMERE TENTANIL TIMIDE” which means Try Nothing Rashly or Timidly. 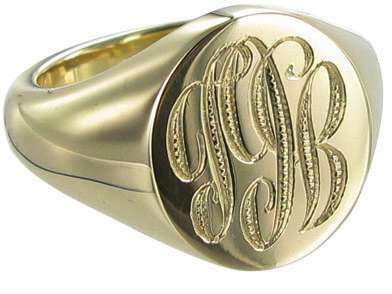 More information about custom hand engraved signet rings.